After 16 years as a fugitive, former Bosnian Serb General Ratko Mladic has been captured in Serbia. 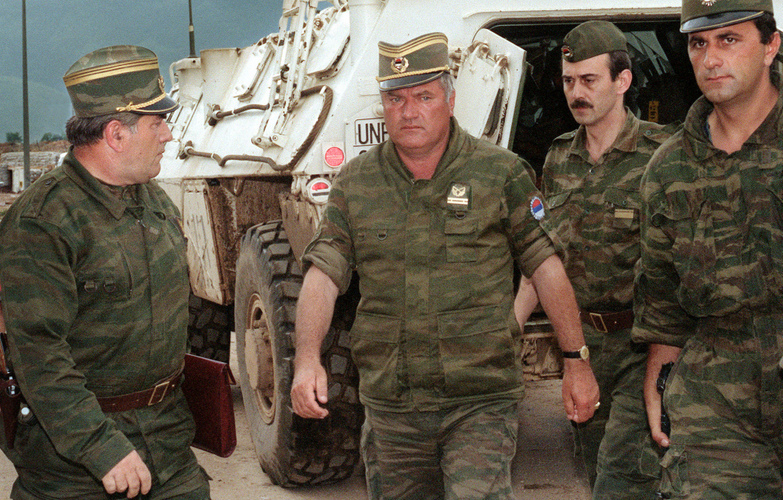 General Mladic commanded the Bosnian Serb Army during the breakup of Yugoslavia in the early 1990s. Mladic is accused of orchestrating the Massacre at Srebrenica in 1995, when Bosnian Serb soldiers killed approximately 8,000 Bosnian Muslim men and boys. This mass killing is considered the most brutal episode of “ethnic cleansing” during Bosnian War, as well as the worst atrocity in Europe since the Holocaust. NPR and the Washington Post both report on the capture of Mladic. EUobserver reports on the Mladic arrest in light of a recently produced war crimes report that has apparently damaged Serbian prospects for EU membership. This entry was posted in Civil Conflict, European History, European Union, History of Violence, Religious Violence, War, Culture, and Society. Bookmark the permalink.